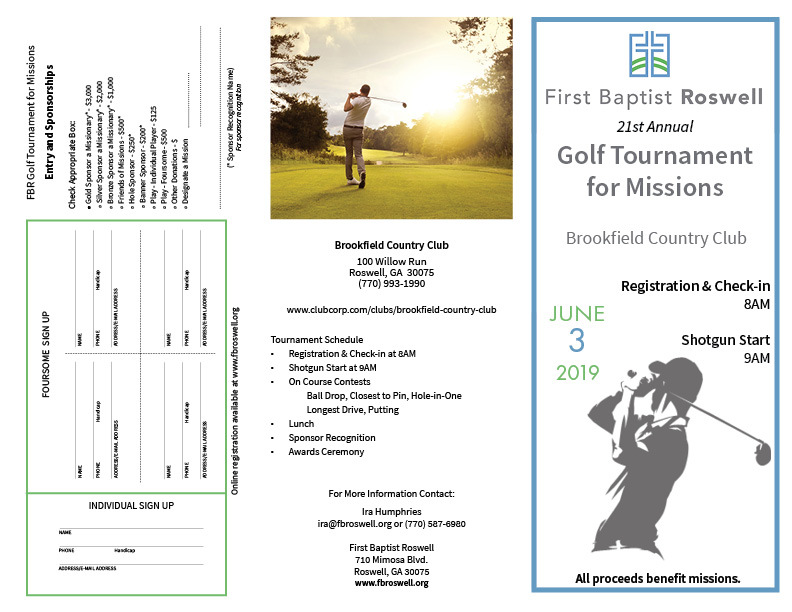 Join us for the 21st Annual Golf Tournament for Missions on Monday, June 3rd. Tournament will be held at Brookfield Country Club. Registration and check-in at 8AM and Shotgun start at 9AM. All golfers welcome. 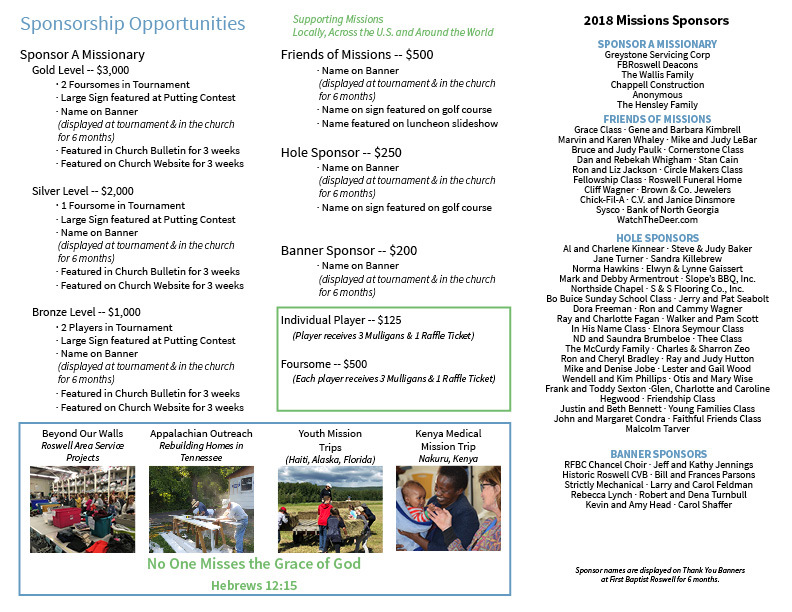 Contact Ira Humphries at (770) 587-6980 for more information.